Becomes Chief Minister of UP for the second time on 17 February until 29 September with the support of Indira Gandhi’s Congress (R) after both factions of the Congress approach Charan Singh to form the government. 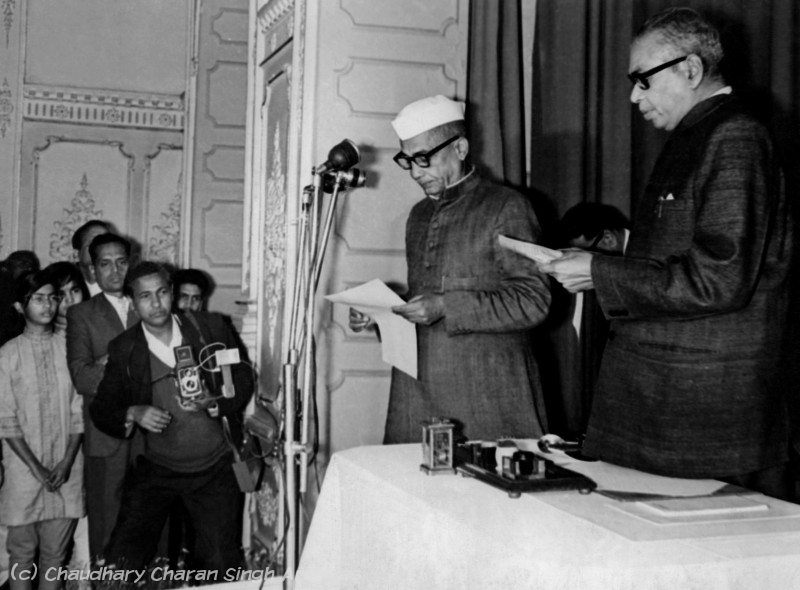 The alliance between the two parties broke on the issue of Charan Singh’s refusal to merge the BKD into Congress (R) and also because three Rajya Sabha members of his party voted against Indira Gandhi’s initiative to eliminate the privy purses of the Indian princes. Dissolved all 51 Zila Parishads on 28 April, on charges of corruption. Saksena, N. S. (1993) India: Towards Anarchy 1967-1992. Abhinav Publications, Delhi. Senior IPS, head of UP Police, head of CRPF, member UPSC, member National Police Commission.